Kaya pala bumagsak sa BAR exam? 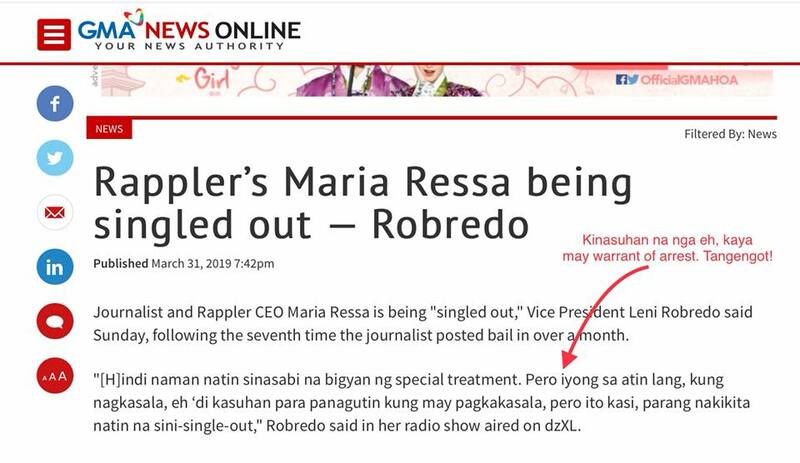 In a statment on her radio show, Leni Robredo surprisingly insinuated that Rappler's CEO was arrested by the authorities without charges. "[H]indi naman natin sinasabi na bigyan ng special treatment. 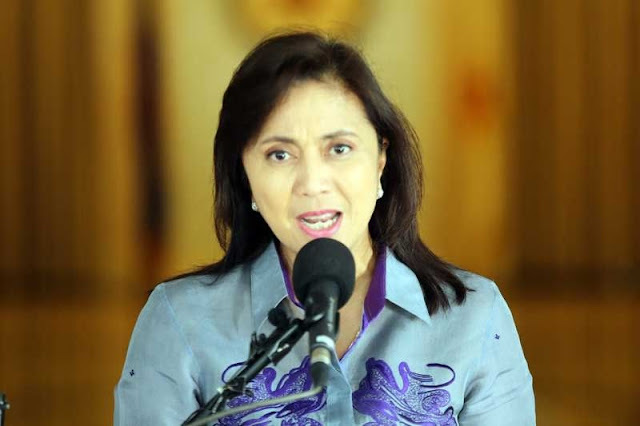 Pero iyong sa atin lang, kung nagkasala, eh ‘di kasuhan para panagutin kung may pagkakasala, pero ito kasi, parang nakikita natin na sini-single-out," Robredo said in her radio show aired on dzXL. Her remarks come days after Ressa was arrested on Friday, March 29, upon her arrival at the Ninoy Aquino International Airport (NAIA) from an overseas trip. A warrant of arrest against Ressa had been issued by the Pasig Regional Trial Court Branch 265 over the allegation that she and members of Rappler's 2016 Board violated the Anti-Dummy Law. A court issued a warrant of arrest for Maria Ressa after it found probable cause to indict her. In many videos circulating online, the arresting officers also read Maria Ressa her Miranda rights. Ressa was released after posting bail. Other members of the Board did so ahead of the issuance of a warrant of arrest. So Leni Robredo's claim that Ressa was not charged is not only unfounded, but also moronic. Leni Robredo has been spewing ridiculous statements lately. Are those intentional or a mere reflection of Leni's level of intelligence?